This one level plan of under 1700 s.f. 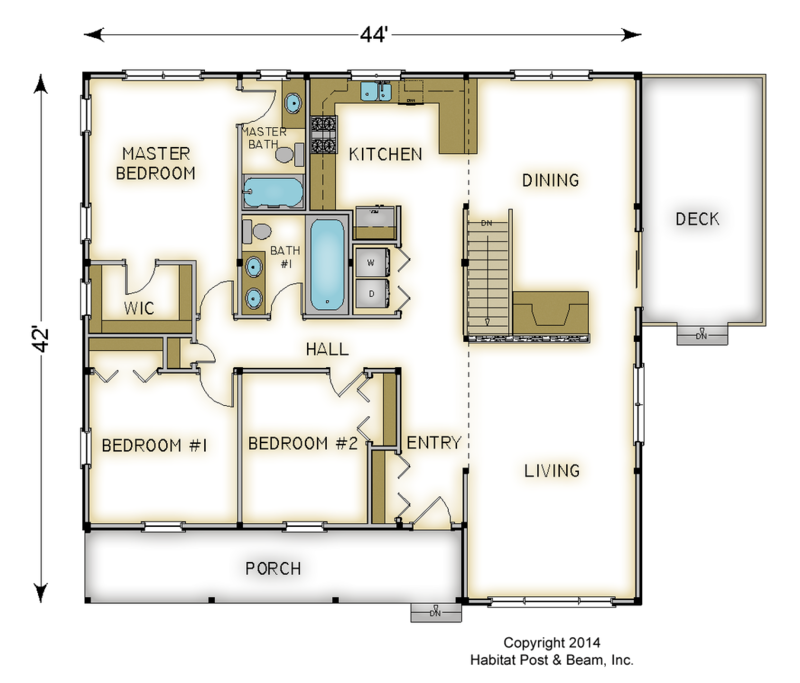 has 3 bedrooms and 2 baths, all within a simple foot print. 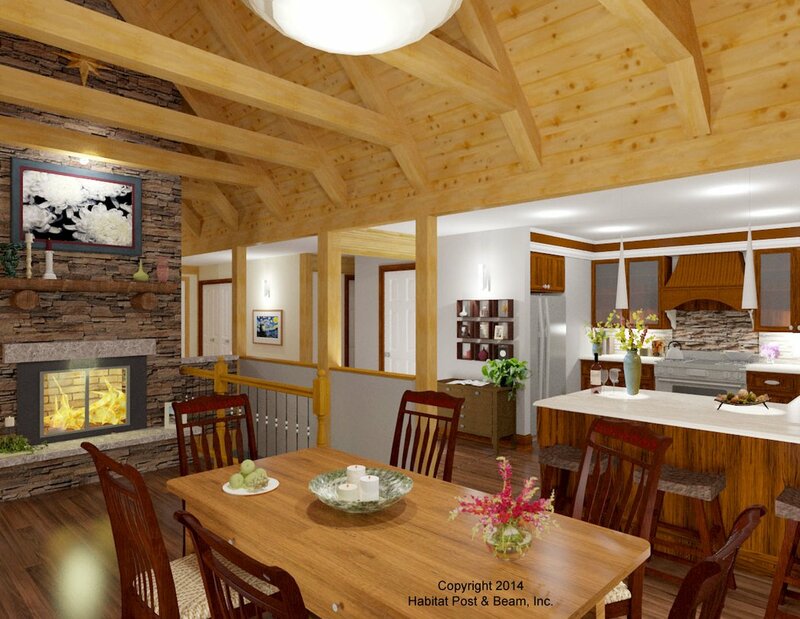 The dining room is adjacent to the living room and share a timber framed ceiling. Most designs can be adapted to add or remove walkout basements, garages, porches, etc., as desired (framing materials by owner/contractor). 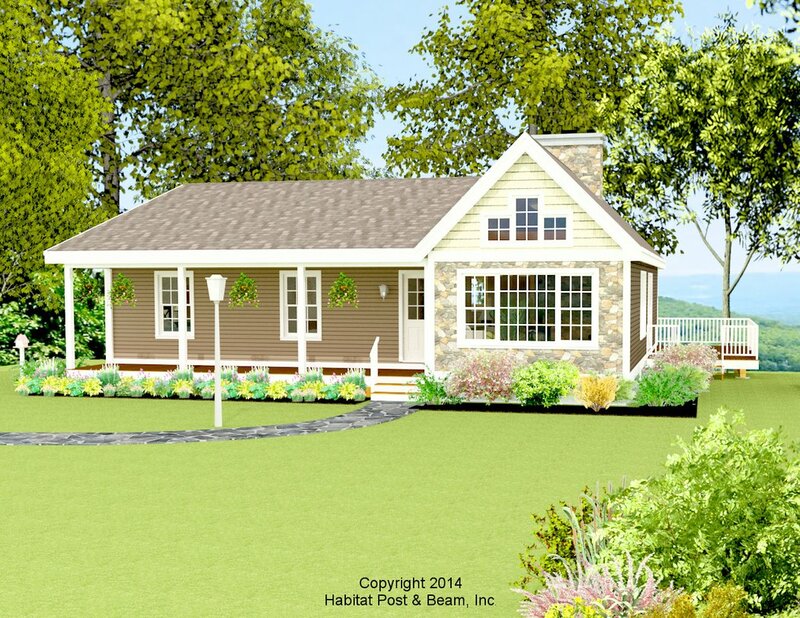 Package Price: $127,000 as specified below (from $111,500 to $153,500 depending on framing options). The standard price includes our Beamed Wall System, Plaster and Beam or Beamed Mid-Floor System (same package price), our Beamed Roof System over the living and dining, and our Plaster and Accent Beam Roof System over the remainder, including a liner ceiling over the kitchen, hall and entry. The entry porch is our Liner Porch System. The walkout level (daylight basement) is not included in the above pricing.